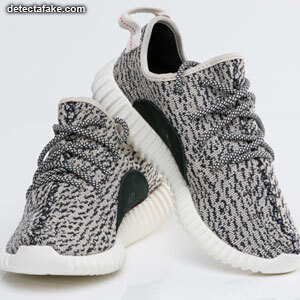 On June 27, 2015, the Yeezy Boost 350 was made available through a worldwide release. 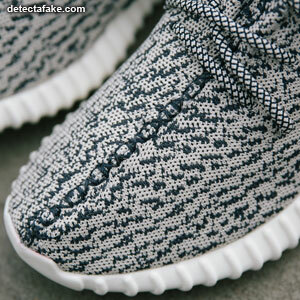 Almost immediately, replica versions hit the market. 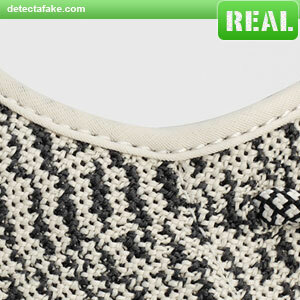 Below are a few steps to identify fake Yeezy Boost 350. Next, look at the alignment of the pull strap. Notice on the real one, the pull strap follows the profile of the collar. 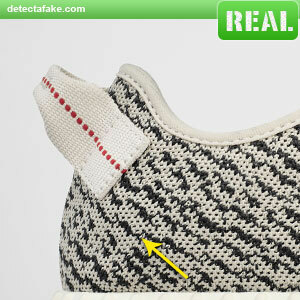 On the fake shoe, the pull strap is much lower and is angled down from the collar. 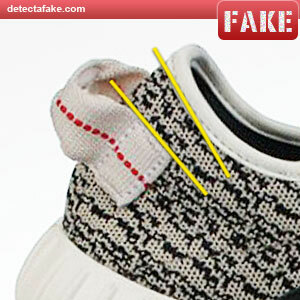 Next, look at the collar line on the shoe. 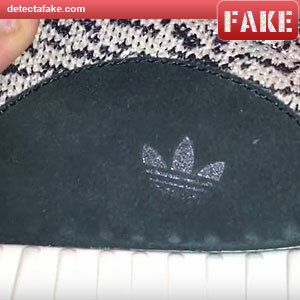 The real shoes have a wave to them while the fakes have a straight, consistent line. Next, look at the detail alignment on the pull strap. The red dotted line on the real ones should be centered vertically, like the above/left example. 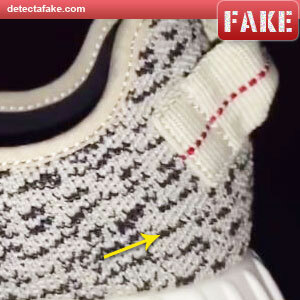 Notice on the fake one, the red dotted line is much too low. Next, look at the logo on the side leather panel. The logo should be centered, both directions, and straight. Notice on the fake one above, it is positioned too far to the right and is angled to the right. 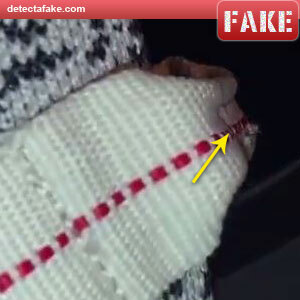 Next, look at the stitching. It should be very uniform and consistent. 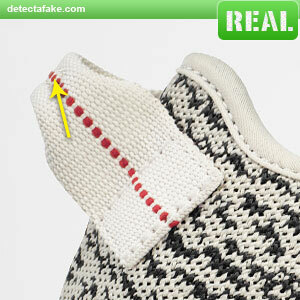 It should keep the same margin between the stitching and the edge of the material. 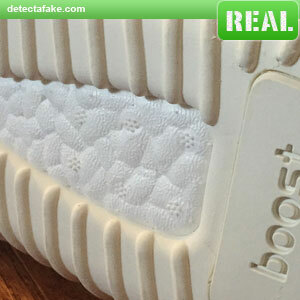 Next, look at the bottom of the sole. 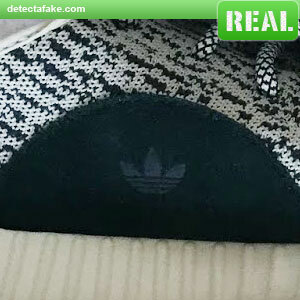 The boost system in the center, shown above, should feel spongy. If they feel rigid, they're probably fake. Also, look at the texture. 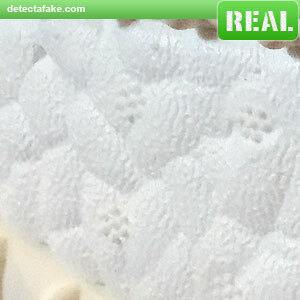 It should have a very bumpy texture, as shown above. Next, look at the angle of the pattern. The real ones will angle sharply up at the heel. Notice on the fake one above, they are not nearly as angled.